It is 96 degrees where I live today; boy I am looking forward to fall! In anticipation, I decided to make a chili cornbread casserole. But in this heat, I didn’t want to make a traditional chili that would cook for a couple of hours. Instead, I made a quick turkey chili and topped it with cornbread using a boxed mix. 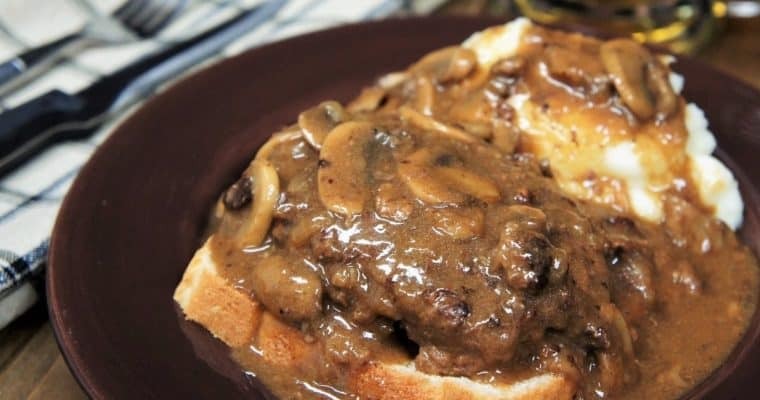 While this delicious meal didn’t make the day any cooler, it sure did satisfy that yearning for the cooler fall days ahead. I hope you, and your family enjoy this meal as much as mine does. In a small bowl add the chili powder, salt, garlic powder, cumin, black pepper and cayenne pepper, if using. Stir to combine well, set aside. Heat the canola oil in a large pot over medium heat. Add the onions and cook for 5 minutes, stirring frequently. Add the garlic; cook 1 minute, stirring frequently. Raise the heat to medium-high, add the ground turkey and sprinkle with the prepared seasoning mix, stir to combine well. Continue stirring and breaking up the turkey with a wooden spoon or spatula. Cook 5-6 minutes until the meat is browned. Add the chopped tomatoes, red beans and the chicken broth to the pot, stir. Bring the liquid to a boil, lower the heat to medium-low, cover and simmer for 30 minutes, stirring occasionally. Half cover the pot and cook for an additional 10 minutes or so. The chili needs to thicken up so it’s not soupy, stir occasionally. Taste the chili; add salt and pepper, only if needed. When the chili is done, or close to done, preheat the oven to 400°F. Add the chili to a casserole dish. Place the casserole dish on a baking sheet just in case it bubbles over. Plus, it will make it easier to get it in and out of the oven. Top the chili with the cornbread mix and gently spread it on the surface. Do not mix. 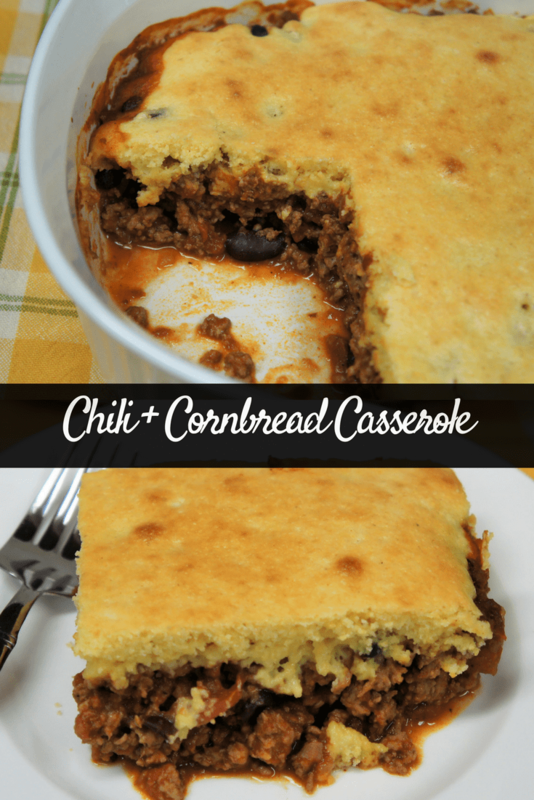 Bake the chili cornbread casserole in the preheated oven for about 15-20 minutes, but keep an eye on it. When the cornbread top turns a nice golden color, remove the casserole dish from the oven. 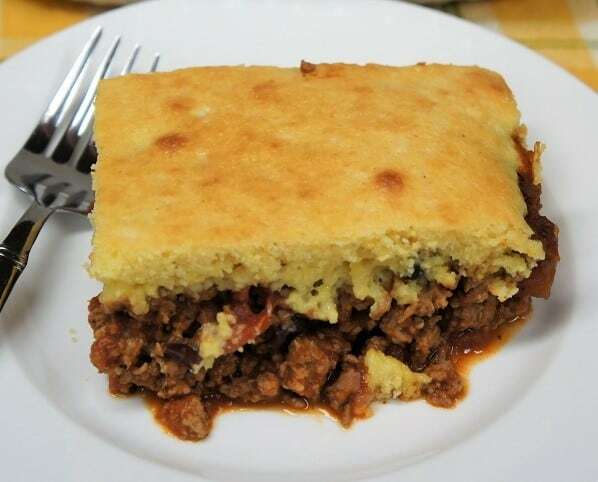 Let the chili cornbread casserole rest for 15-20 minutes before serving.